The Russian hacker, Alexey Borodin who hacked the iOS App Store’s in-app purchases is back! Apple has tried to stop him, but to the fruit companies disappointment he happened to be smarter than anticipated. The in-app purchasing hack still works on iOS devices and you can get any in-app upgrades for free; most likely for life on the iOS 5.1 firmware. Now the hacker has worked his magic on the Mac App Store as well, bringing the in-app purchasing hack to Mac OS X. According to Borodin, his iOS in-app purchasing exploit has been used for over 8.5 million free purchases in the App Store. This is a huge setback for Apple and the developers, and now it’s happening in the Mac App Store as well. Apple promised that the loophole will be fixed in iOS 6, and asked users to stay clear of this hack as it may steal personal and other important data. The company even opened their API’s for the developers, so they can stay clear of this hack. However, this hasn’t stopped the hacker from continuing to attack the App Store. I believe he’s enjoying the challenge, I mean all hackers do, that’s the main motive behind hacking. With idea of @FurioATV & support of CNC I’m introducing you to in-appstore.com on OS X. 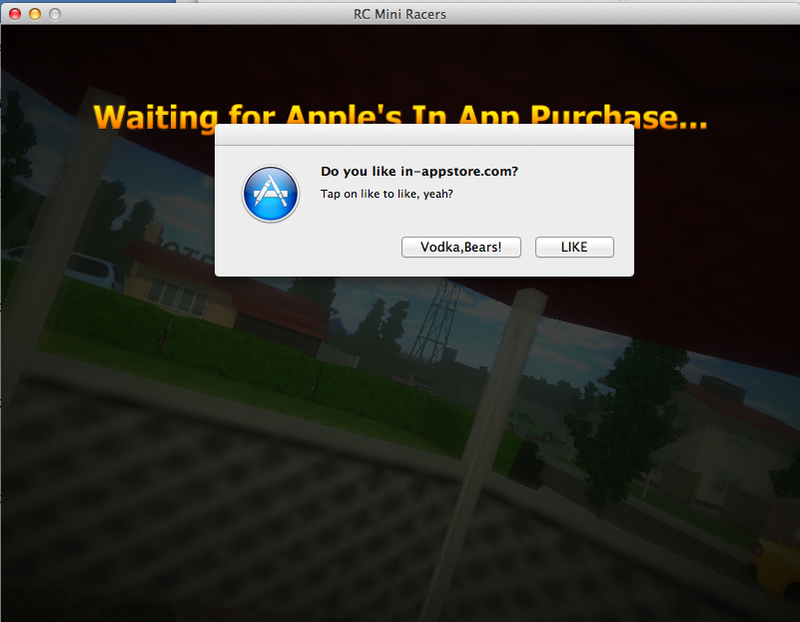 Yes, Mac & Hackintosh have got free in-app purchases too. PS: Apple, you forgot about your customers on iPhone 2G&3G. That’s the right way. Yes, I notified about developers’ letter and fix of this problem. Let’s wait for iOS 6. It’s like he’s literally challenging Apple! The process on OS X is similar to iOS, which involves the installing of fake certificates to bypass Apple’s servers, changing DNS settings of Wi-Fi etc. And apparently this whole things works without any hiccups! Although this won’t impact Apple much, as there’s not a lot of In-app purchasing to be done in the Mac App Store, it is sure to further worry developers. If you want to try this on the Mac App Store you can go to this link here.